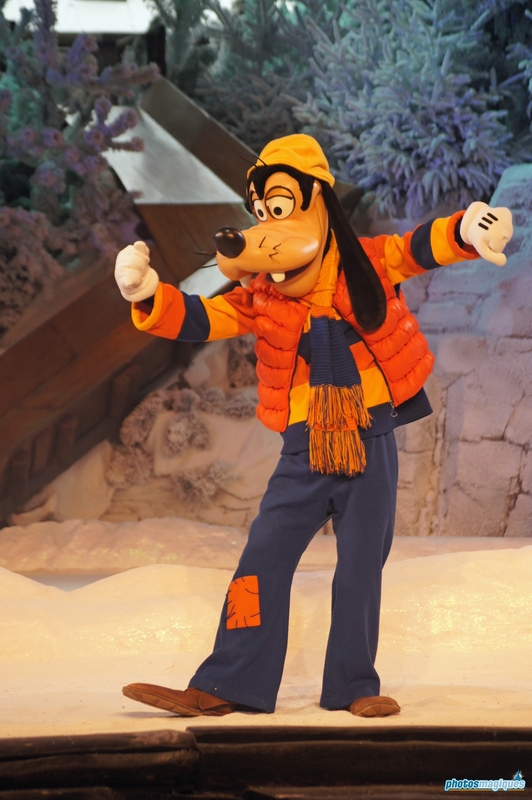 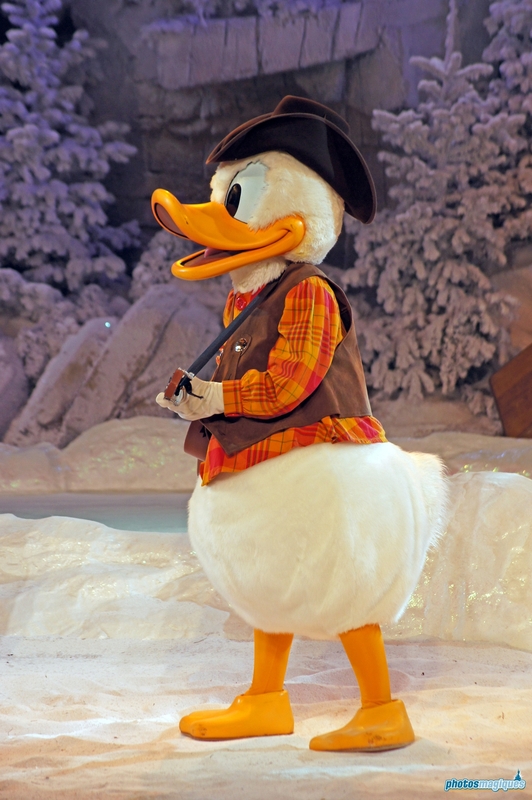 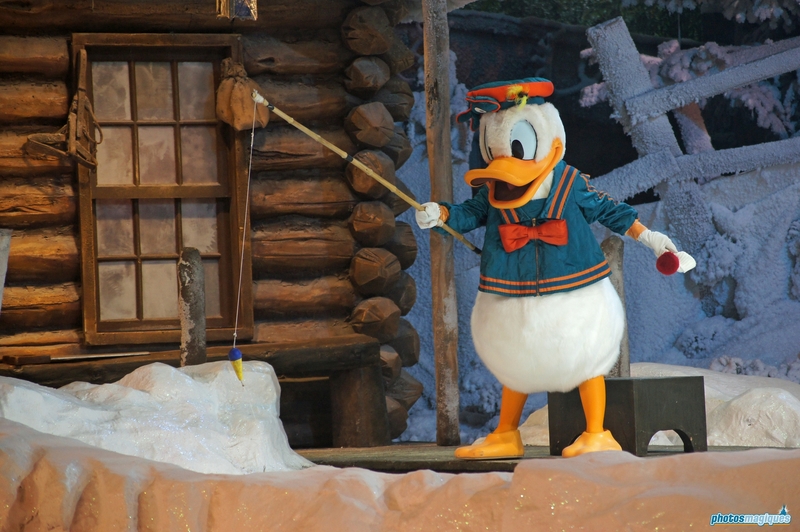 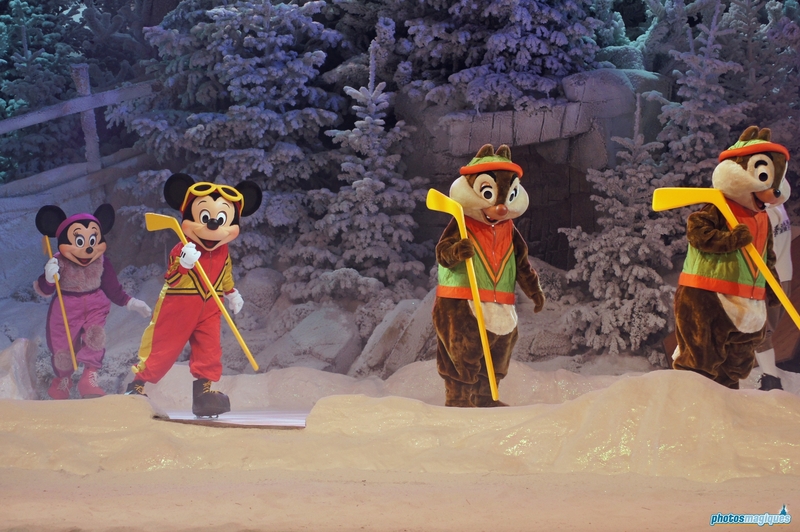 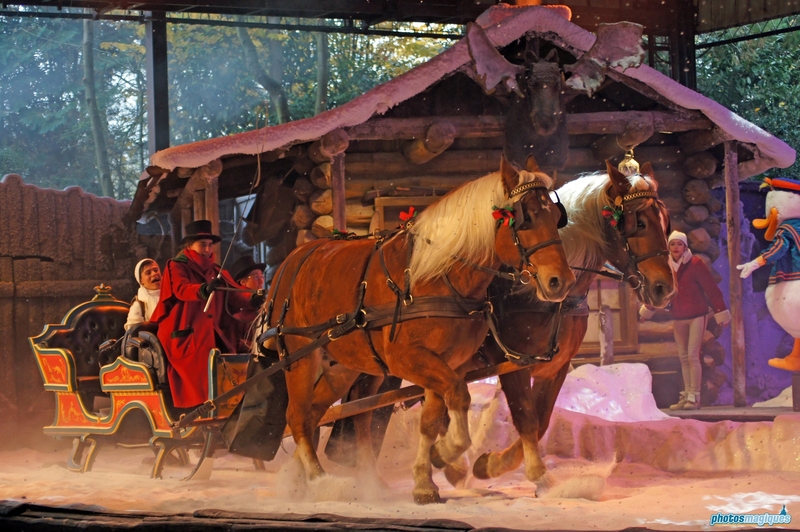 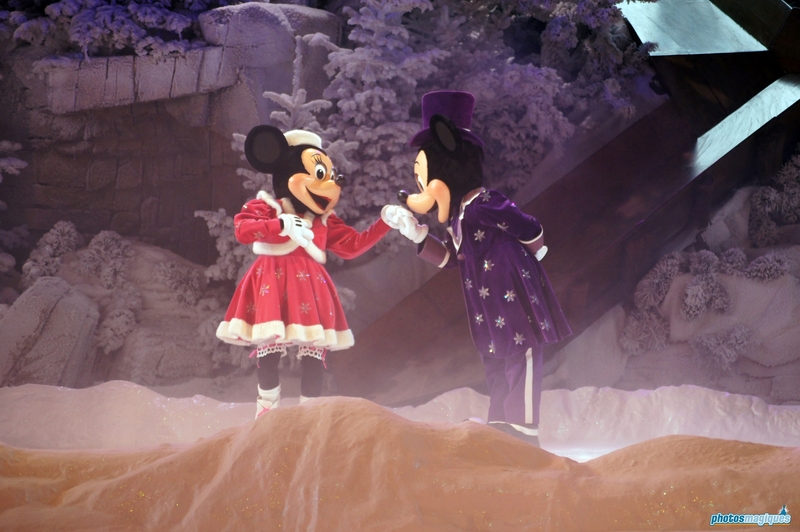 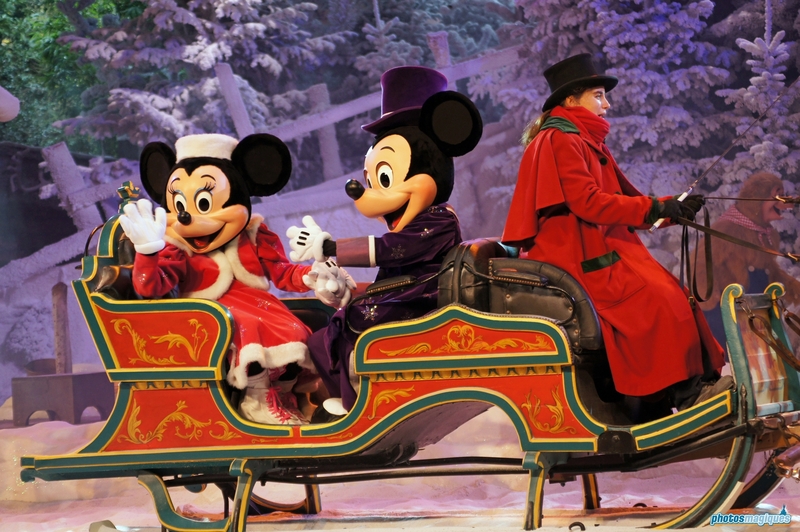 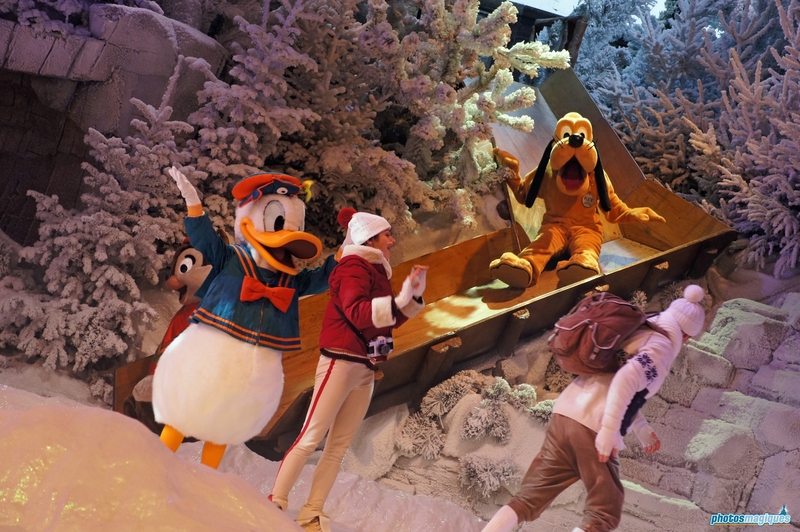 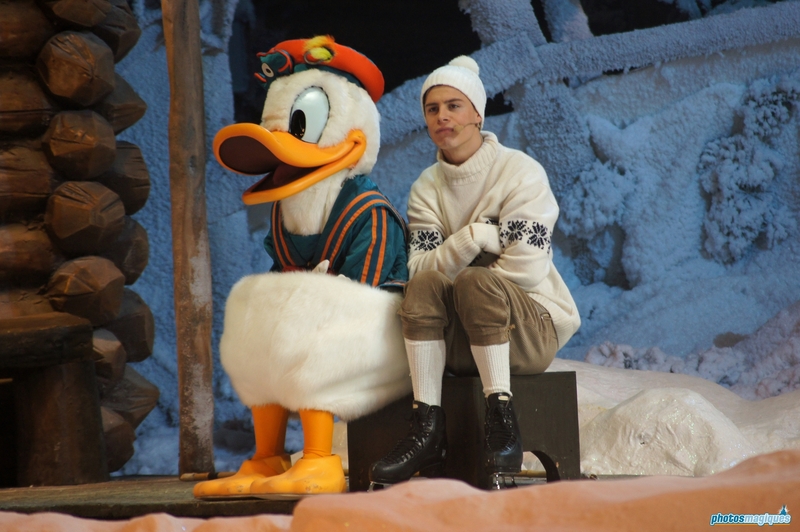 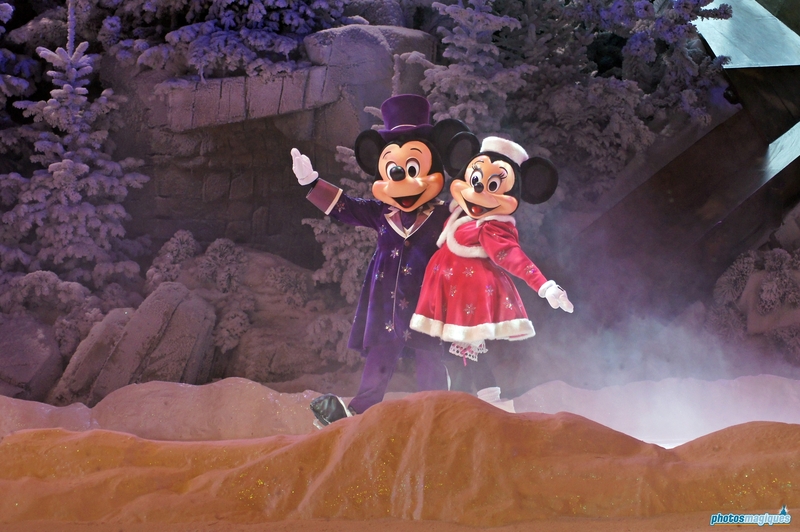 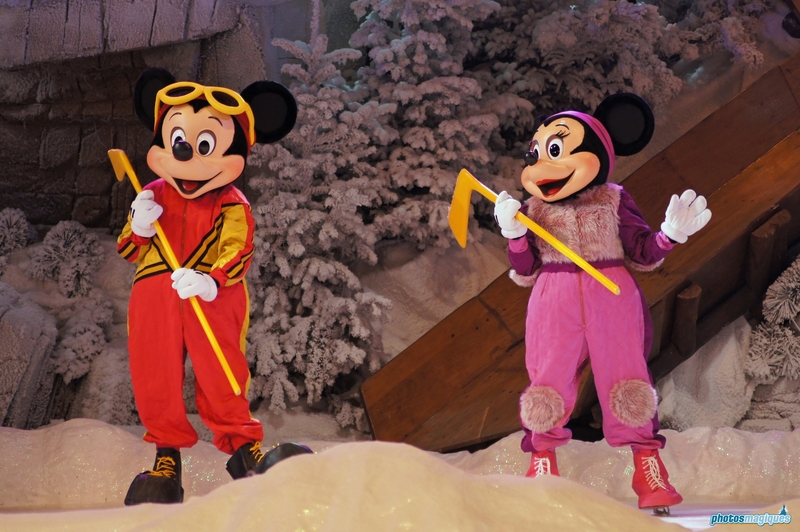 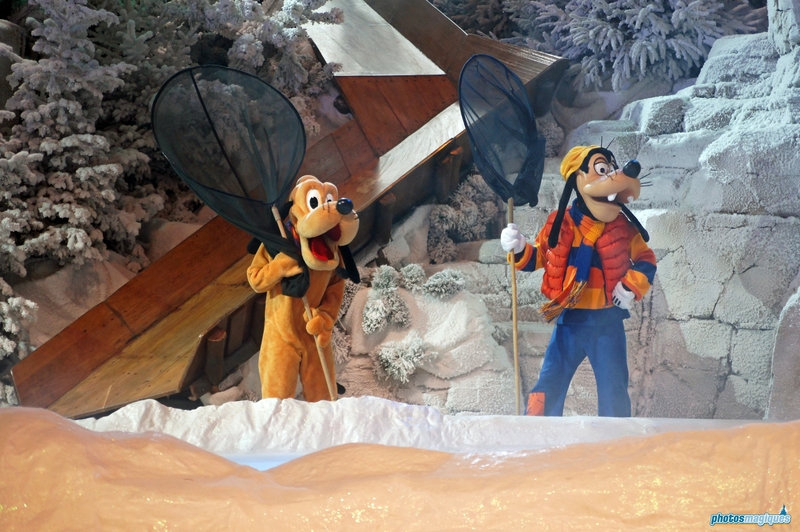 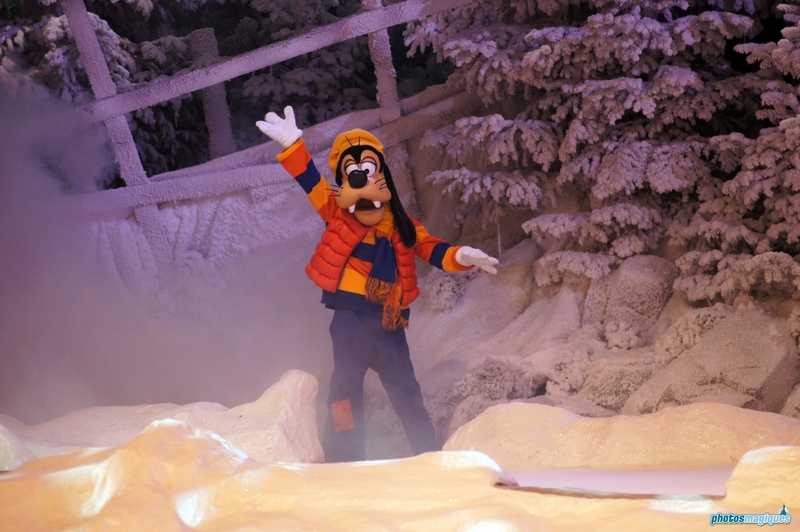 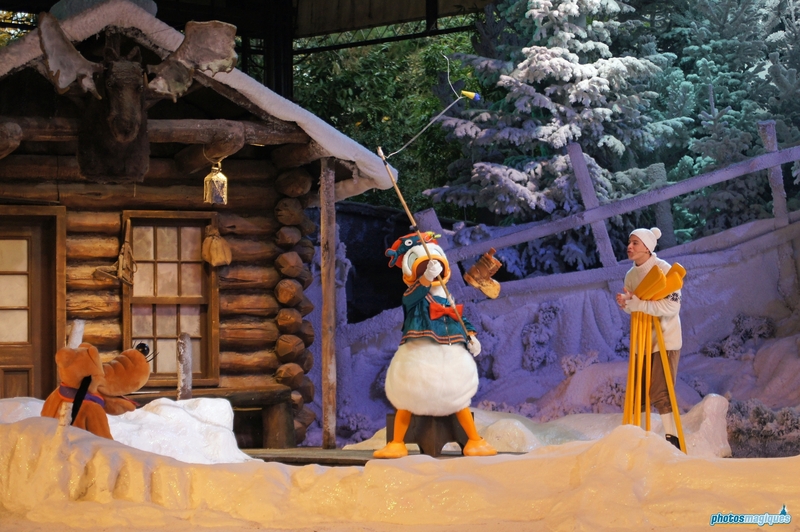 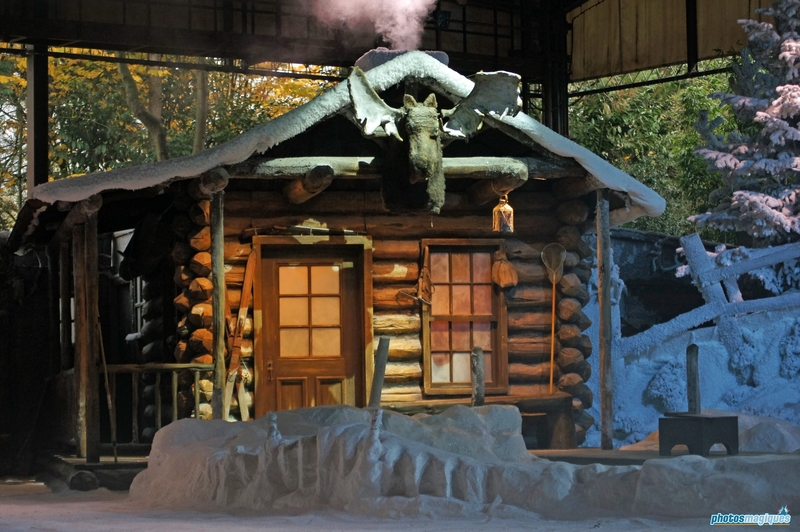 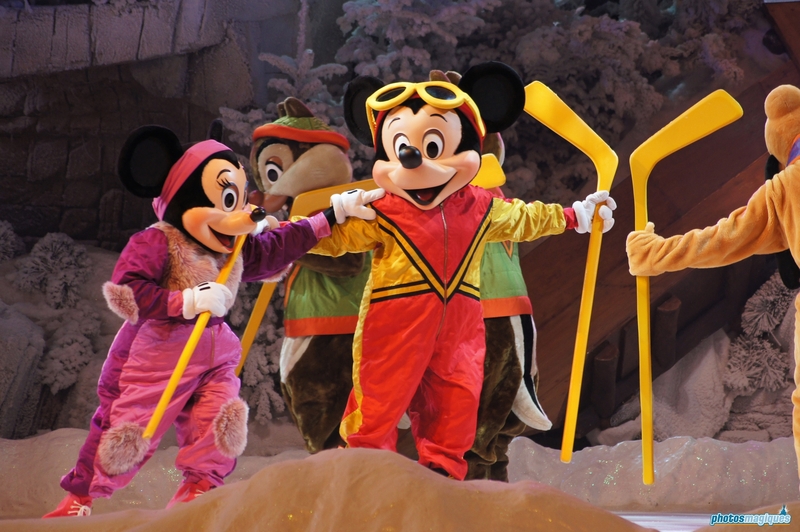 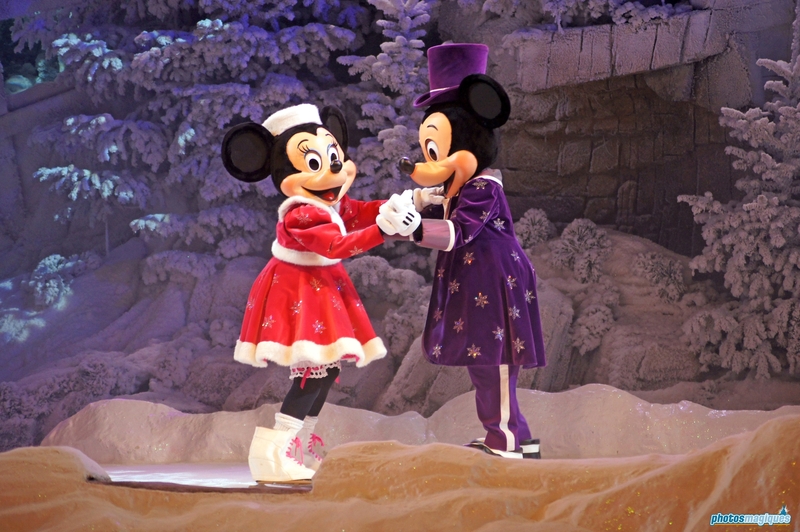 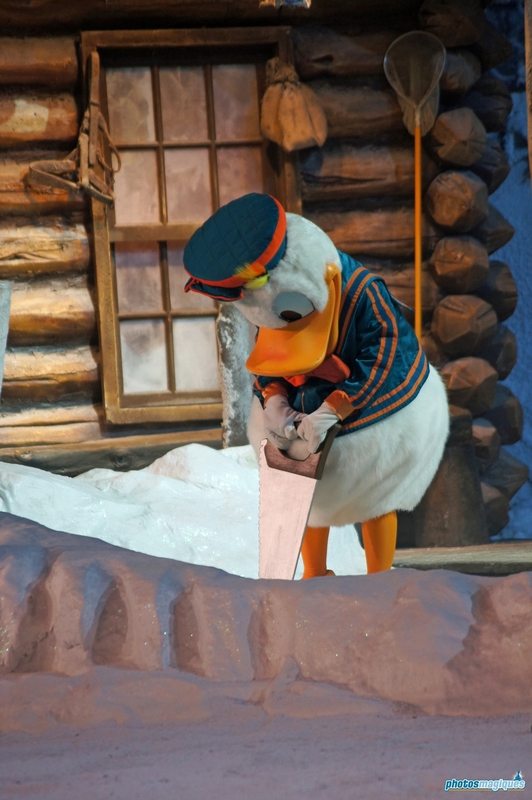 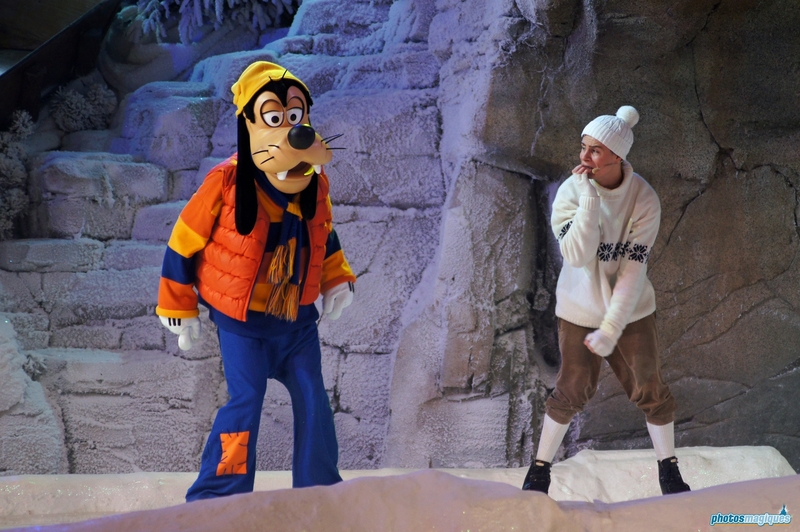 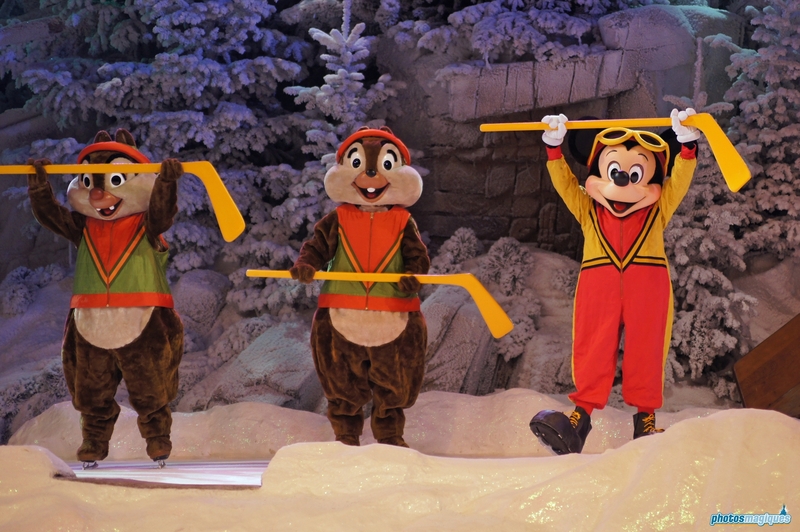 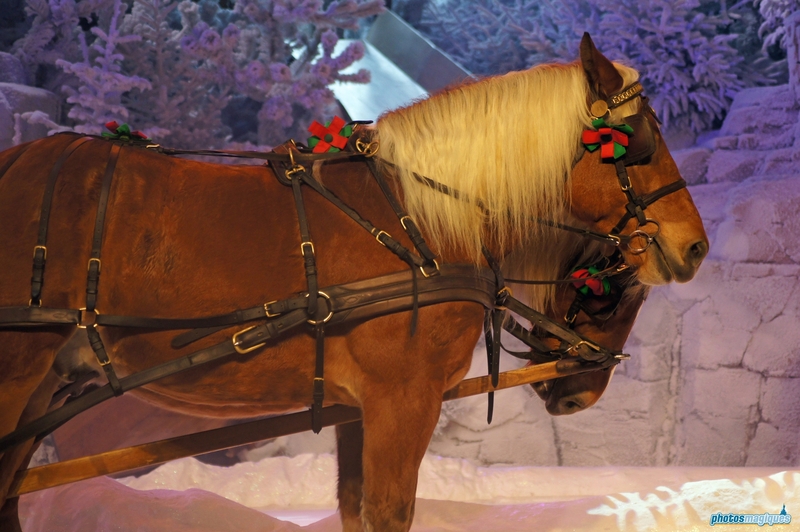 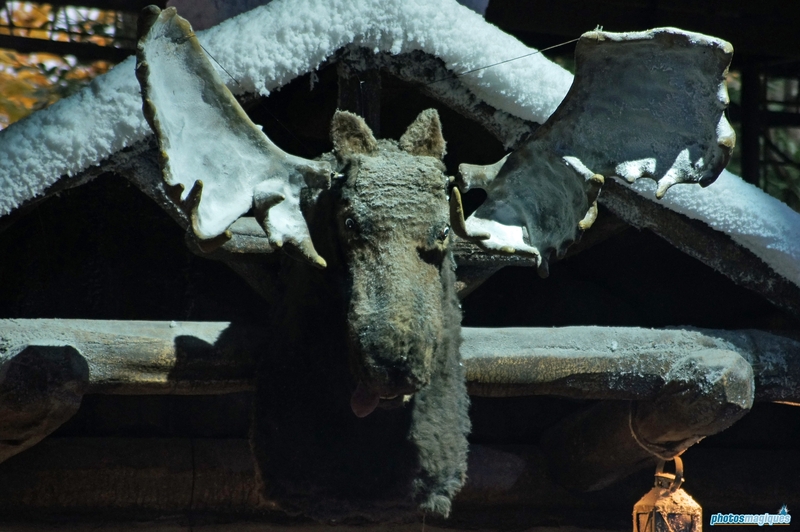 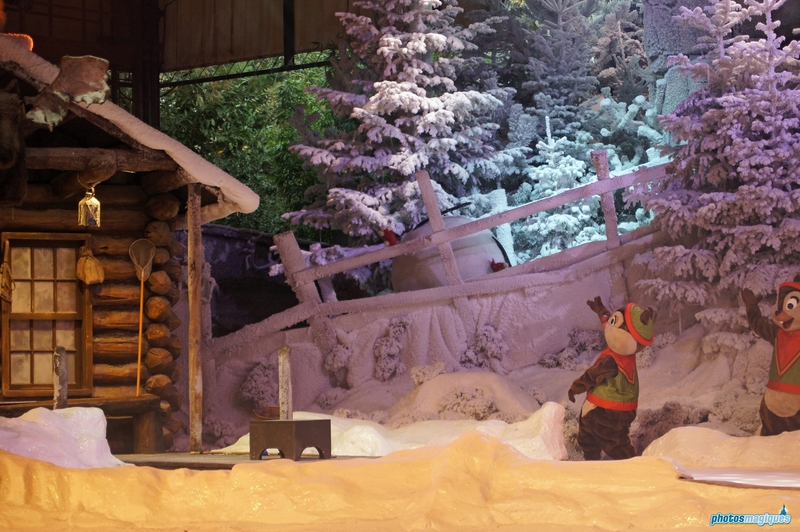 Mickey’s Winter Wonderland was one of the longest running seasonal shows in the history of Disneyland Paris. 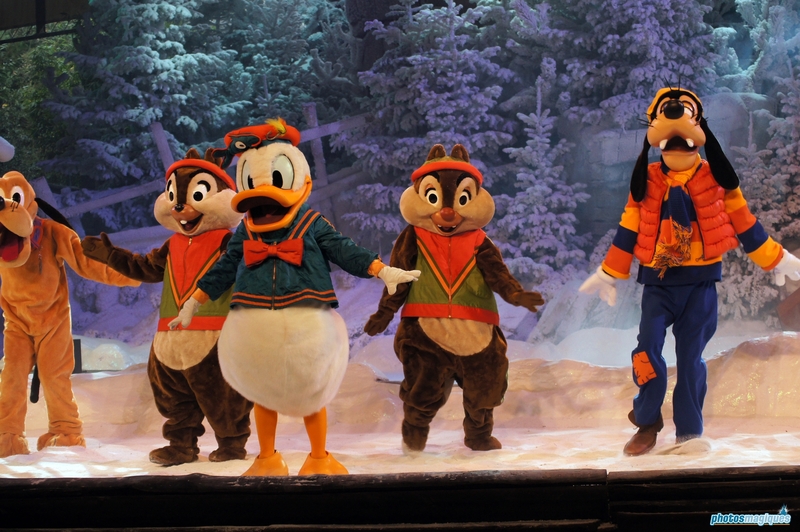 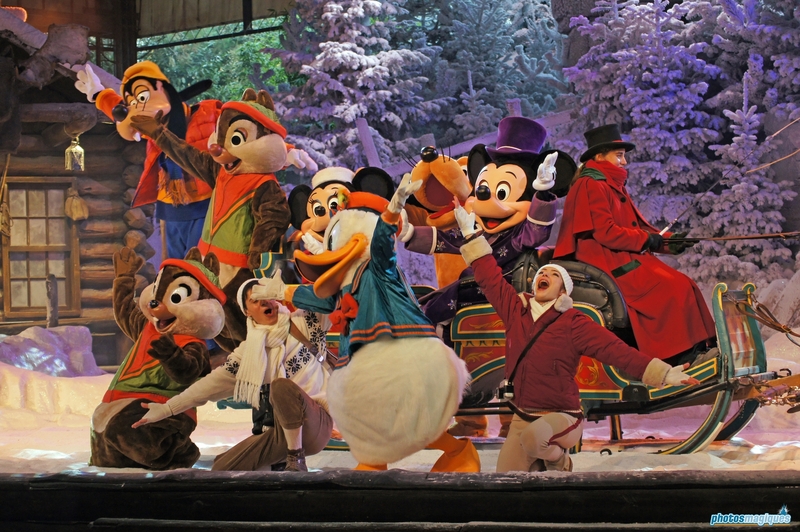 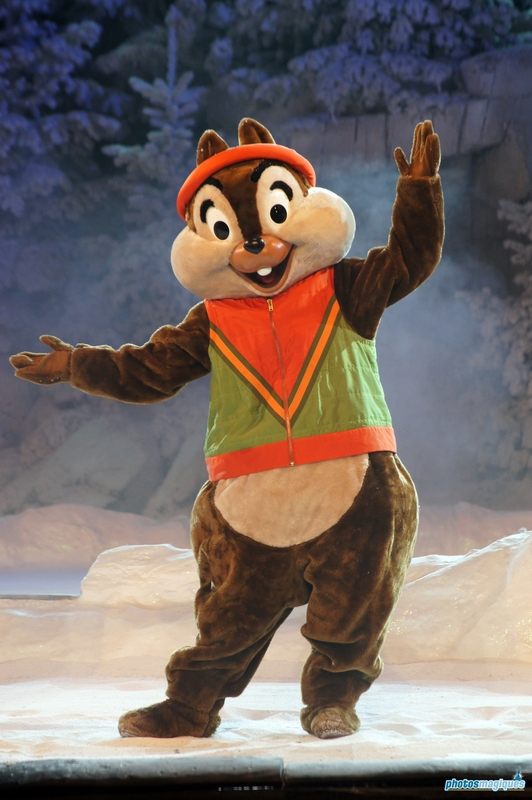 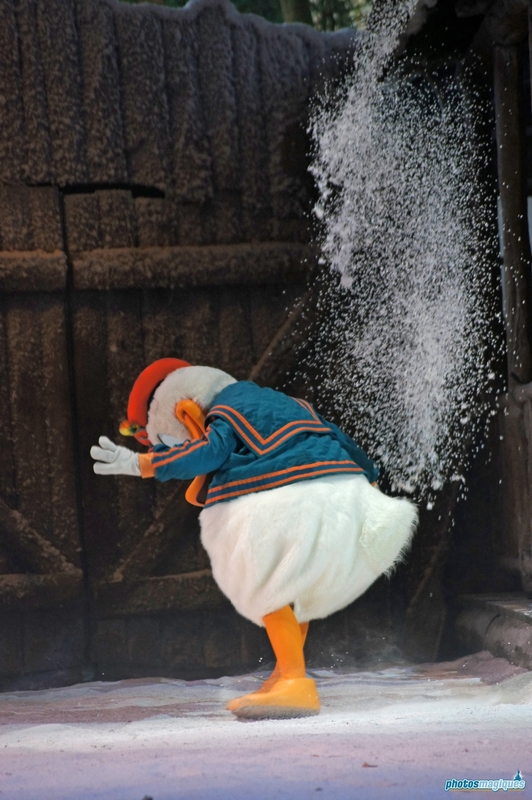 First introduced in 1998, the show returned every year for the Christmas Season on The Chaparral Theater stage until 2011. 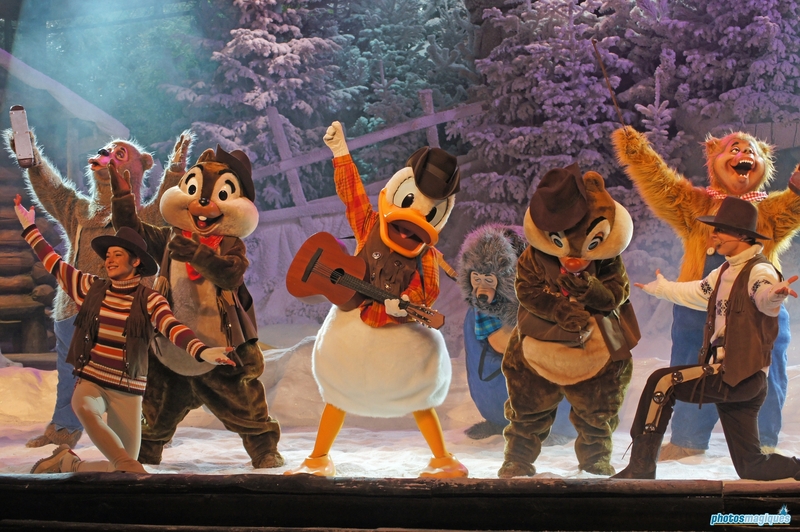 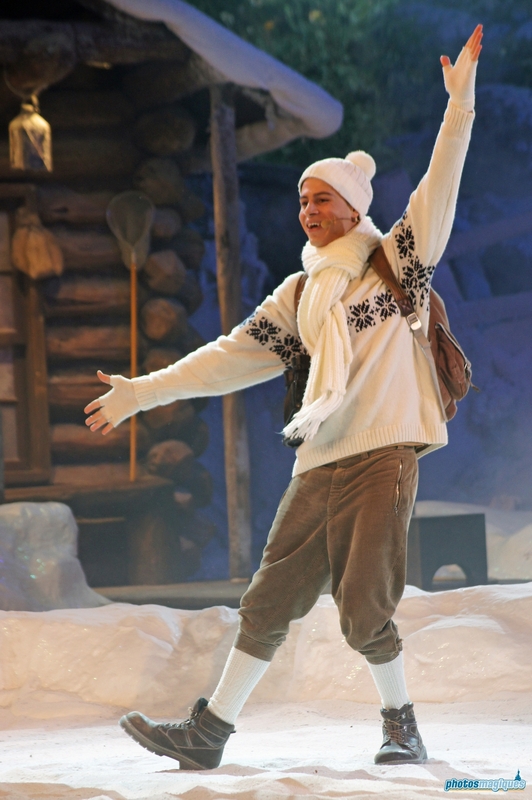 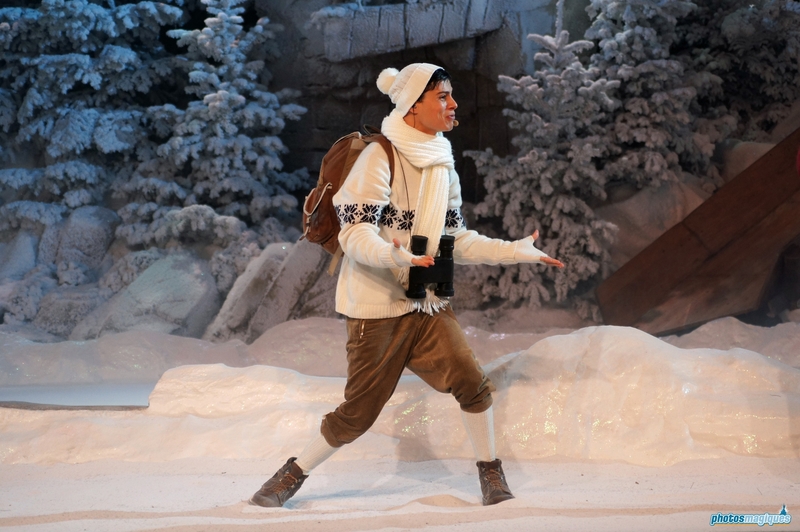 The show is mostly directed at kids and features lots of country-style sing, dance and clap-along songs like “Let it snow”, “Baby, it’s cold outside” and “Winter Wonderland”. 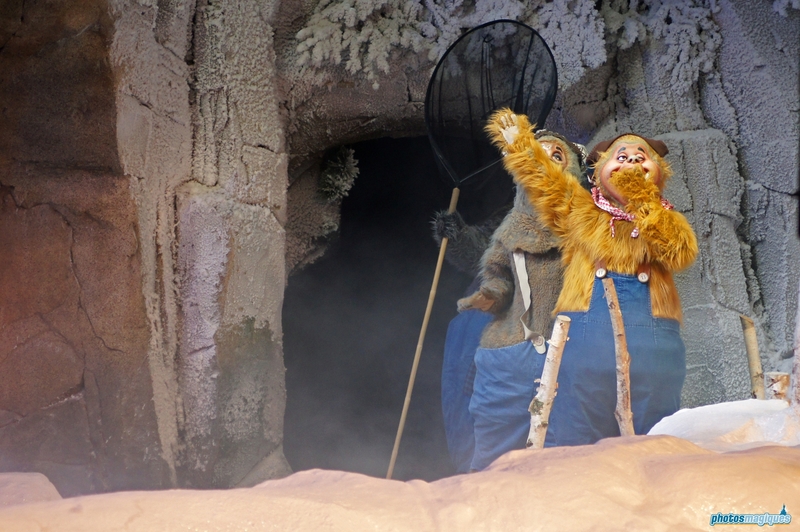 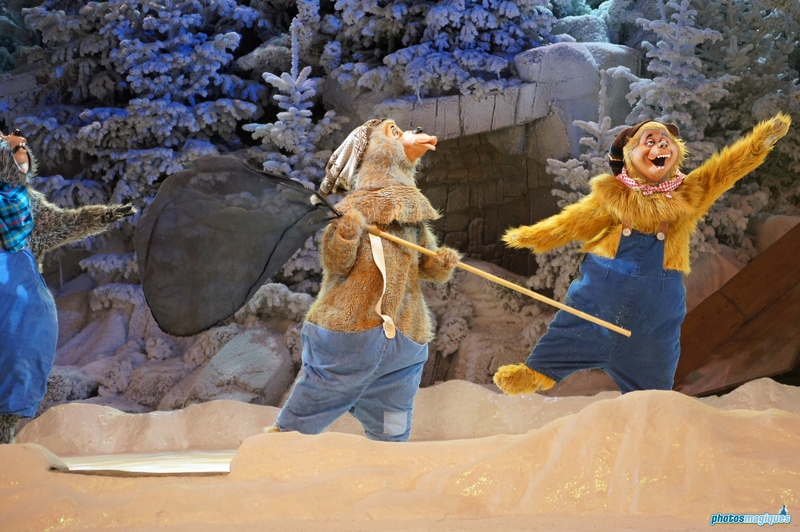 It’s also a rare occasion to see the characters from the classic Disneyland attraction “Country Bear Jamboree” in a live show. 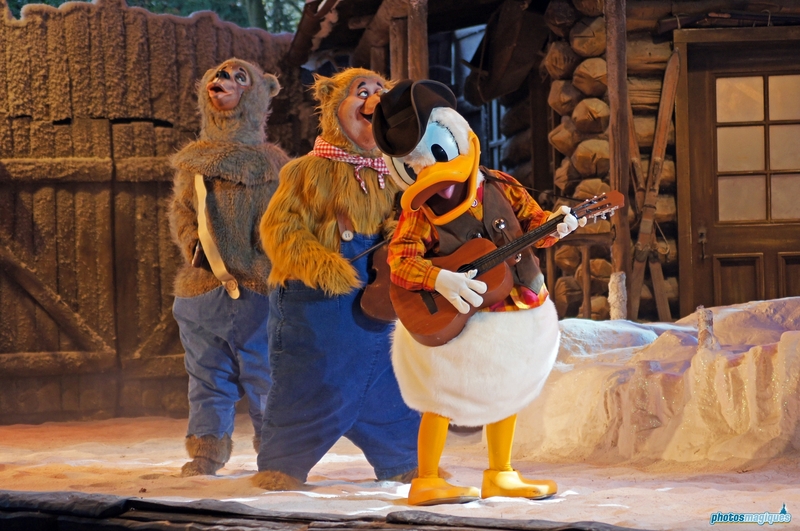 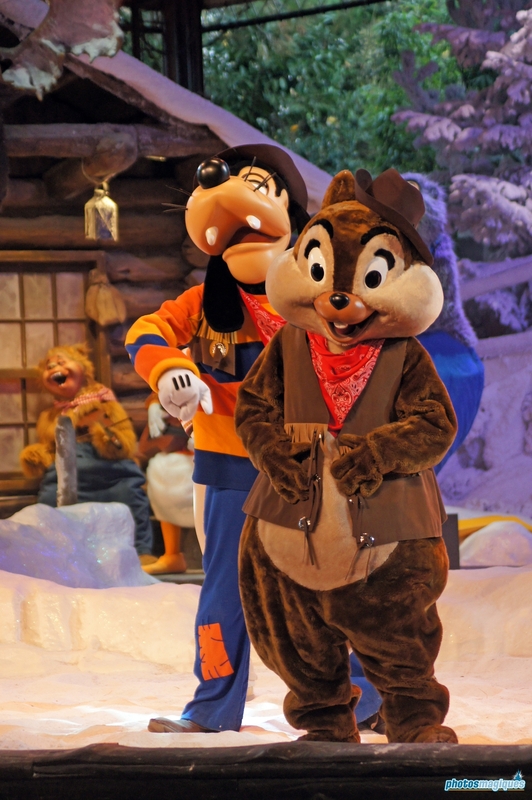 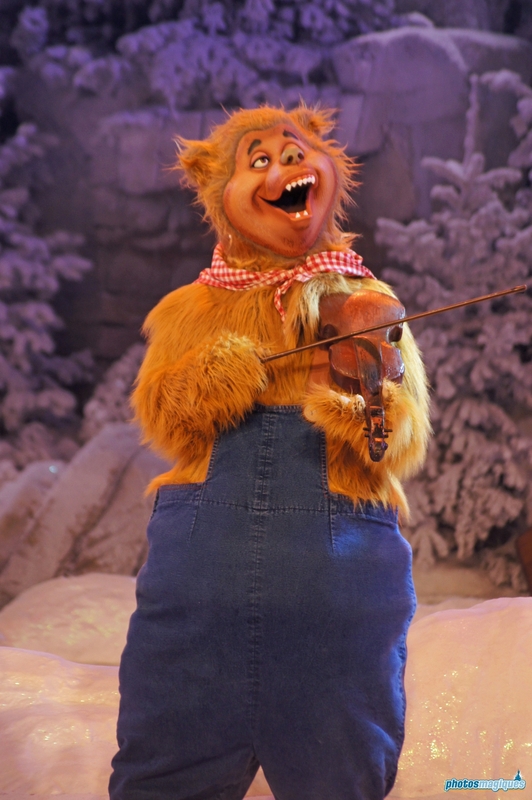 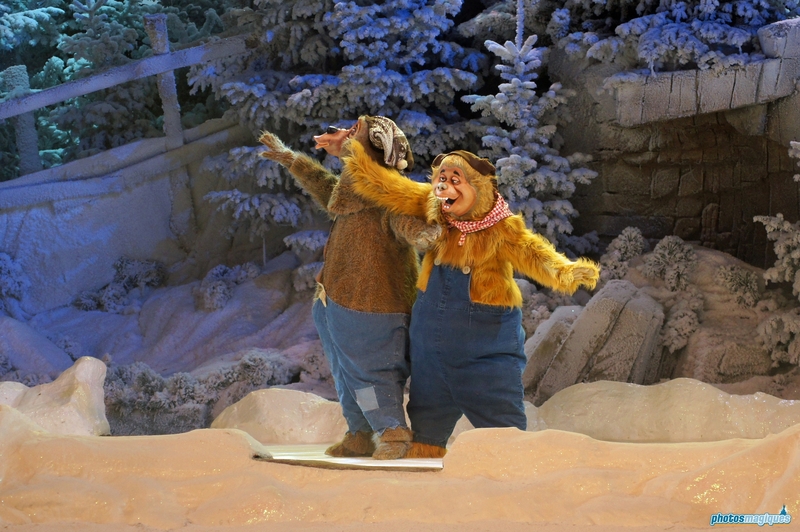 This attraction (now closed in Disneyland, but still running in Walt Disney World and Tokyo Disneyland) features a cast of Audio-Animatronic bears performing country music. 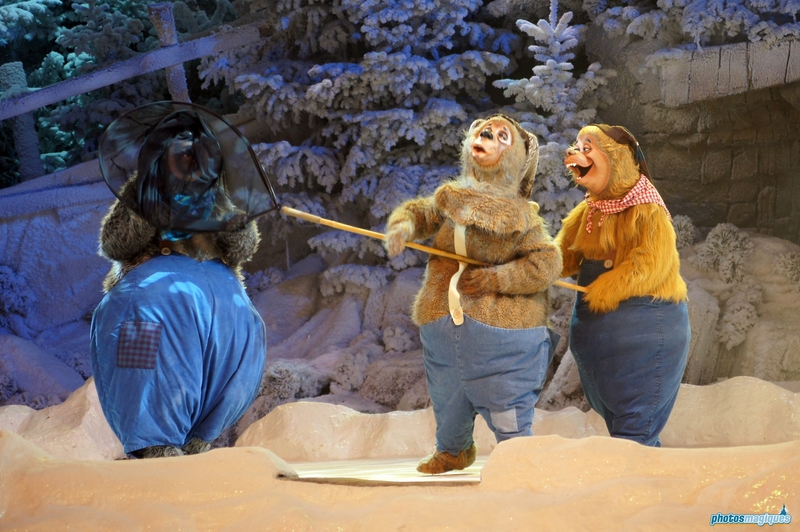 The Country Bears were the stars in their own feature film that was released in 2002.